Found on BoingBoing, here’s a periodic table with a little Ka-pow! 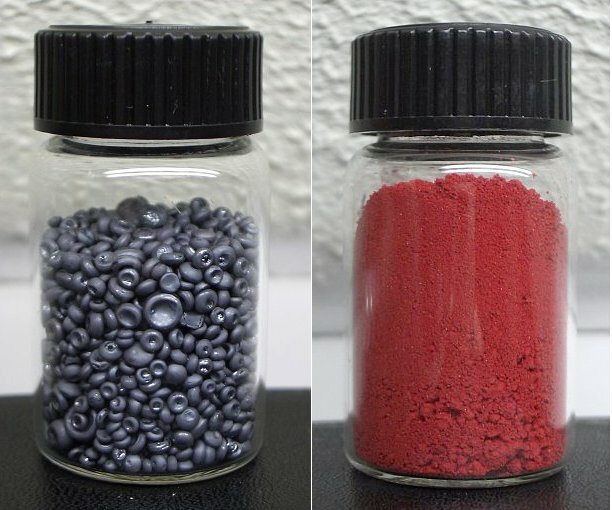 University of Kentucky chemistry professors John P. Selegue and F. James Holler are collecting comic book references to chemical elements. via The comic book periodic table of elements – Boing Boing. Image by W. Oelen, Creative Commons. CCO 1.0 Universal Public Domain Dedication. 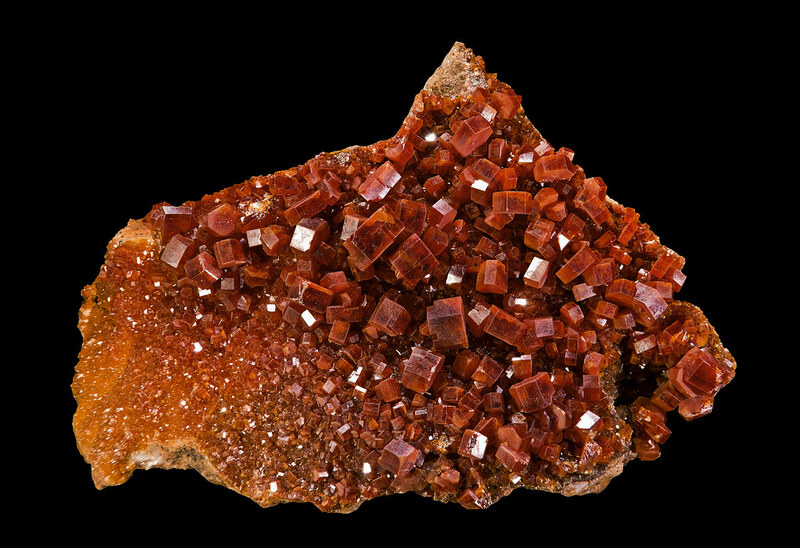 Vanadinite, which contains vanadium (V). Image by Didier Descouens (Creative Commons Attribution-Share Alike 3.0.) Unported license). 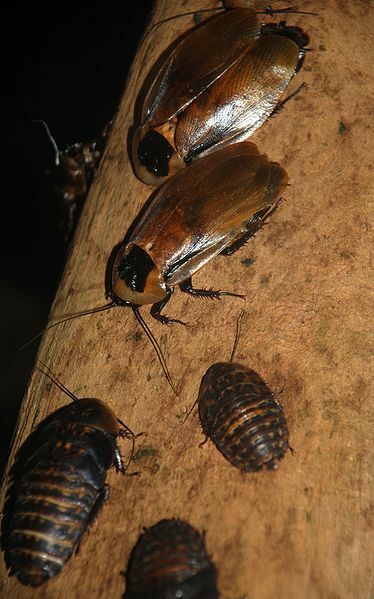 I suppose it’s the cost of living in Florida, but I’m tired of the giant roaches that squeeze into my garage and waggle their antennae at me late at night when I come out to do my laundry. So when I heard that Dan Scherson, a Case Western Reserve University chemistry professor, might have another job for them, I had to give him a call. Scherson and his research team have created a biofuel cell that uses insects’ own chemistry to make electricity. 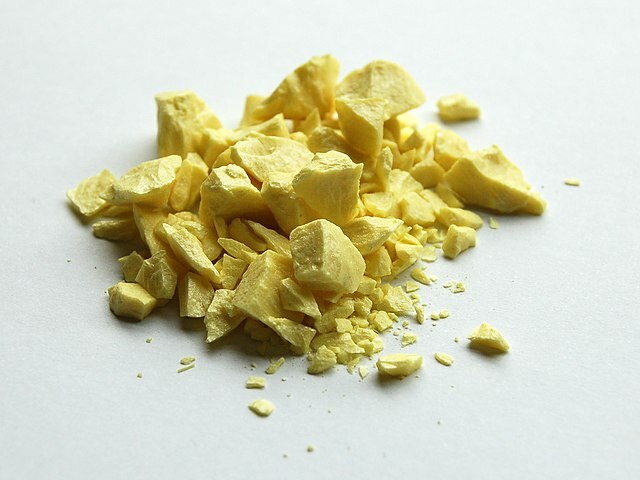 Their findings appear in the Journal of the American Chemical Society. With such developments, he says, it won’t be long before bugs powered by fuel cells and equipped with sensors could gather and transmit information from a disaster site. “They know how to crawl under the rubble,” he says. So far Scherson’s team has worked with roaches and moths to convert trehalose, a sugar concentrated in the insects’ blood, into electricity. (This entails cutting into the abdomen of the insect and inserting two electrodes into its blood.) The resulting energy can power a tiny oscillator. According to Scherson, the next step would be to create a smaller and lighter fuel cell (The moths can’t fly with the current one) and to put a tiny sensor on the insect.